It’s Time to Activate Your Spiritual Calling! Are you ready? You’ve had enough of hiding. You are so done with holding back your gifts. That thing they call a “spiritual calling”? Deep down you KNOW you were born to share some kind of gift with the world. You’ve got something to say, a message to share. So how do you silence the self-doubt and move through the fear to express that deeper YOU? Believe me, I get it. The big question I keep getting from bright, spiritually gifted women is “What is my spiritual calling?” When they ask me that question, I usually see the answer right in the question. The problem is, most thought leaders and spiritual trailblazers are hiding or downplaying their natural spiritual gifts and purpose, afraid of what people might think or how they might react. We’ve become so good at hiding our power that many of us have hidden it even from ourselves. I know I did for most of my life. For as long as I can remember, I could see the energy that connects us all – Gregg Braden calls it the Divine Matrix. Some have called it the Field. I had no idea what it was when I was a kid, or why I had daily lucid dreams, or why I had a recurring vision twice every day for 9 months in a row. I couldn’t talk about it with anyone. Being painfully shy and the “weird one” in school didn’t help. So I shut it down for years. But that inner fire and deep knowing never really go away. It was all still within me and some of it would bubble up and pour out every time I’d have a spiritual download. That’s how my oracle deck was created – Spirit gave it to me. But I had to play my way into its expression. What if you could build your confidence and tap into more of your hidden gifts? What if you could give your True Self the trust and self-expression you deserve? I’ve been saying for the past 11 years that it is TIME for us to reclaim and activate who we truly are. Like seriously, we need to get going on this! The old systems are falling apart – and the ONLY way we can do our part in creation of NEW systems is to be who we truly are and share our gifts. 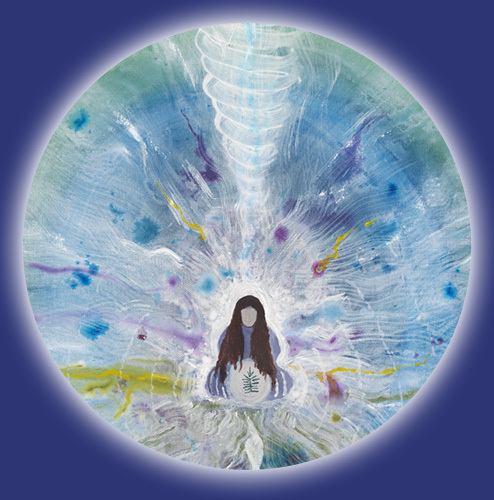 How would you like to learn how to PLAY your way to fuller self-expression, stronger spiritual connection, and the activation and evolution of your spiritual calling? listen to ourselves, trust ourselves and express ourselves in order to live our purpose. 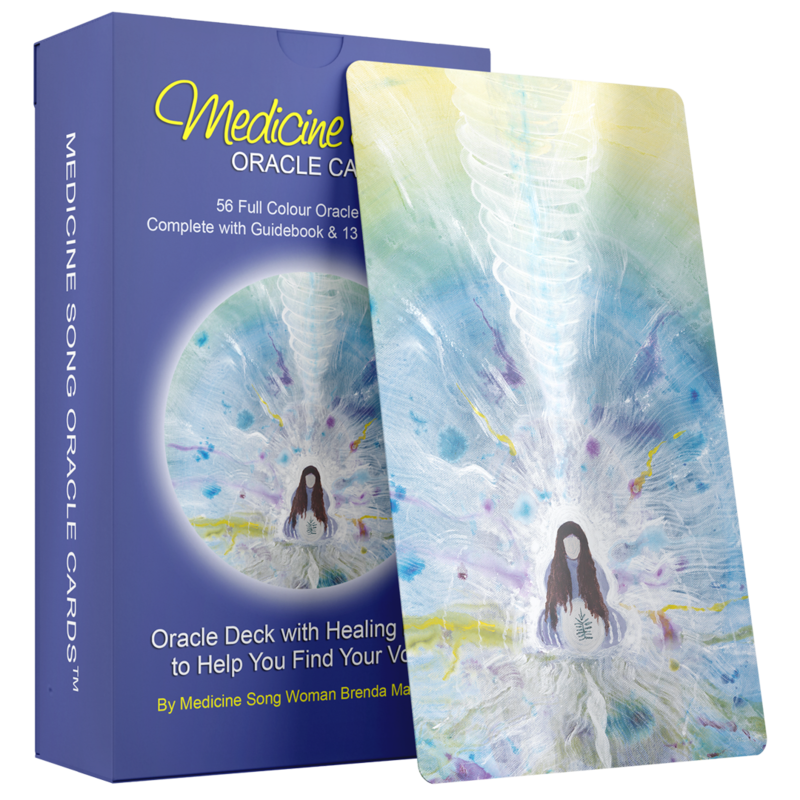 Unlike any other oracle deck, this one comes with healing music that matches the cards. It is based on the indigenous Medicine Wheel (the 4 directions and 4 elements), the 13 Moons and the 28 Day Moon Cycle. 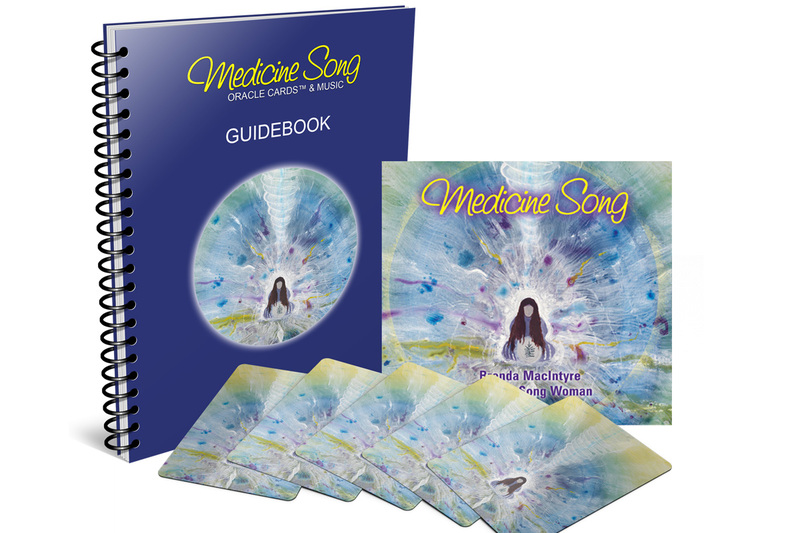 You will receive your digital Medicine Songs and PDF Guidebook right away. Your cards will be delivered by Canada Post. I played with the oracle cards today…It was great and always for me Spirit likes to be amused. I did a few spreads just looking at the cards feeling into them, listening to the music…not reading all the info in the guidebook, knowing there will be a time for that. 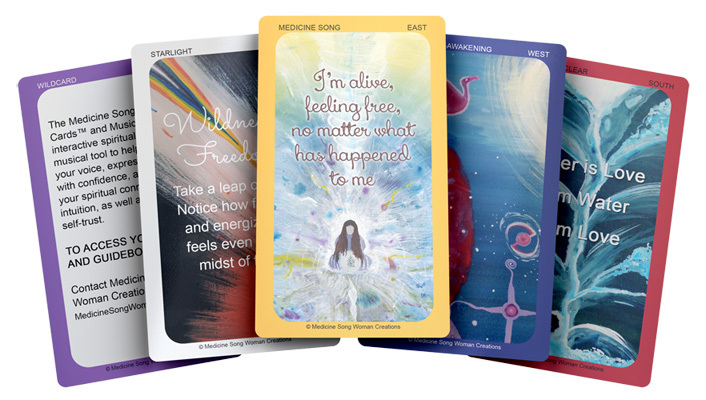 I finished with the pathway spread….the first card, east, I am breathing into the power of now…the NEXT TWO cards were the blank wild cards. I laughed out loud and thought, these cards didn’t take long to jump into it! Thanks Brenda. I love Brenda MacIntyre’s Medicine Song CD. It’s so inspiring, and the guidebook stories enrich them. I’ve ordered the package with Oracle Cards. This isn’t something I normally do, but Brenda’s work comes from a deep place. It reaches my core, and I saw recently how it touches others’, too. Highly recommend. You can sample some of the songs on YouTube, I understand, too. I’m really enjoying the cards. I just got them last night. The cards really do have a lot to say even when they are in the hands. I love the directions and the messages. I appreciate the teachings with each card and song. It’s very helpful. I also like how I can still get to use my own intuition with them. Powerful cards and music. Thanks. I’ve had problems with confidence all my life. My confidence depended on people’s response to whatever I was doing at the time – my writing or artwork or the feedback from my retreats. If their feedback was positive, I felt confident and capable; however, if it was negative, I felt I wasn’t good enough. 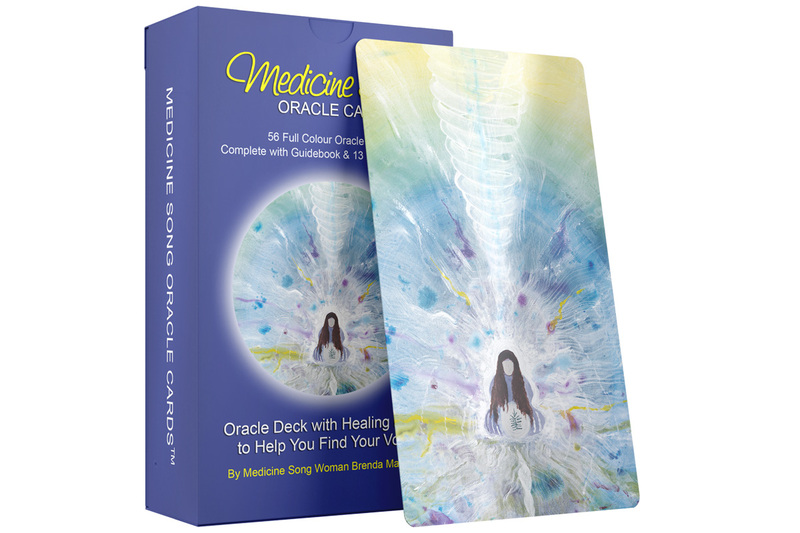 I got the Medicine Song Oracle Cards™ because I want to have a tool in my spiritual toolkit to help me find my voice. 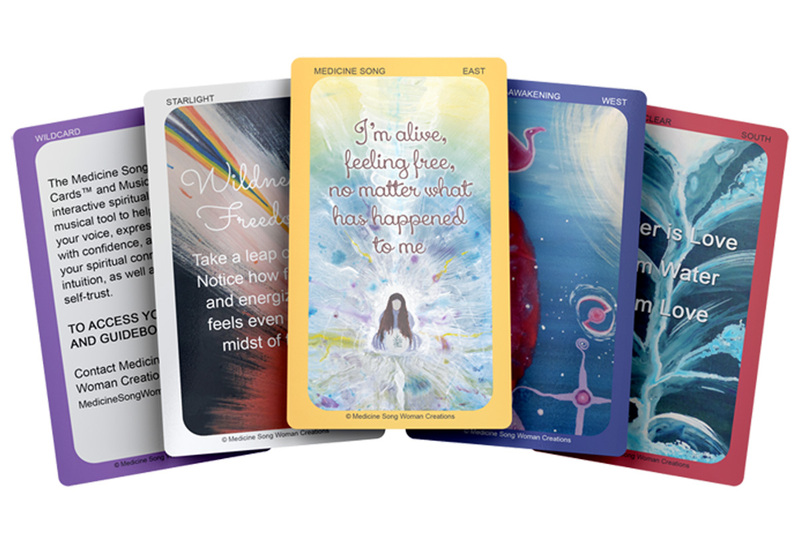 By using the oracle cards and absorbing the messages, I have come to realize that I am a unique individual and “my voice matters.” (Woman-East) If I fail to impress others, it is their issue and not mine. I have done the best I can and I am, as one of the cards says, “a sacred expression” (Starlight-East). One eureka moment with the oracle deck came while I was pondering the impact of the cards on my spiritual life. It seems that the ‘East’ oracle cards are giving me inspiration at this point in time. I’m currently writing my prayers for an up and coming retreat and while writing started first with the East and realized that the East is where the first light of day comes. It reminds me that the music and oracle cards can bring enlightenment if you are willing to be open to the messages. I’ve learned through the cards that I need to allow my life to take the direction it needs and that I am where I need to be here and now. “I am breathing into the power of now” (Be Here Now –East). Since reading the messages and listening to the music that goes with the cards, I find that I do not need to feed off the compliments of others. One of the messages tells me that I am the treasure and it’s time for my amazingness to come out. So I find that I am embracing my ‘gifts’. While listening to the songs and reading the messages on the cards, I find that I can meditate with more meaning and feel absolutely relaxed without having my mind wander. I thoroughly enjoy just picking a card, reading the message and seeing if the message resonates with me throughout the day. When listening to the music and thinking about the message that I was given I like the music allows me to go deeper into the meaning by allowing myself to relax and just go with the flow of my thoughts. 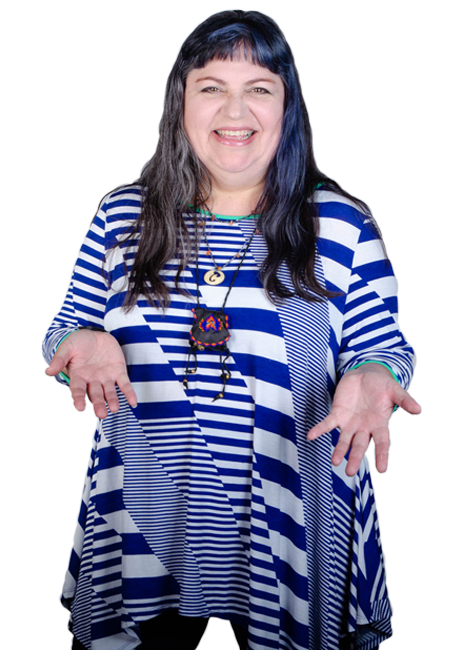 Brenda MacIntyre, also known by her indigenous name Medicine Song Woman, is a Goose Bump Giving Singer and Author of the Medicine Song Oracle Cards™. She helps women to bring out their playfulness, edge and inner rebel, so they can live a life brimming with soul-satisfying expression. By the age of 20 Brenda was on Top 40 Radio in Miami, in spite of extreme shyness and the death of both of her parents. As her music career flourished, her personal life fell apart, leading her onto a deeply spiritual healing journey. A Navajo medicine woman recognized her as a healer and since then, Brenda’s speaking and singing have helped thousands of women around the world to brighten their lives and the lives of others through the untapped power of their voice. The Juno Award-winning singer has shared her magic, leadership and soul on national TV channels such as MuchMusic, CTV, APTN and Global and for appreciative audiences of 30 to 3,000. Her music has been featured on CBC Radio and hundreds of other radio stations, garnering top ten status multiple times. She has shared the stage with star from The Secret, Michael Beckwith, and New York Times Best-Selling Authors Gregg Braden, Dr. Joan Borysenko and the late Dr. Emoto. You won’t catch Brenda reading from a powerpoint or notes at a podium. She loves to surprise and move the audience, while delivering actionable takeaways without a script. Her music-infused talks and workshops are always hands-on, unique and memorable. As a motivational speaker, Brenda combines 30+ years of musical performance with 18 years of helping women to find their voice, so they can stop holding back and live an inspiring life. FUN FACT: Besides singing and speaking, Brenda’s favourite sources of Joy are her daughter, her 2 cats, old school reggae and spiritual playtime with her sisters.